If you are looking for a type of weight which can be used in a wide range of applications, you will find few better options than the kettlebell. The kettlebell was originally inspired by a Russian farm implement called the girya. A girya featured a loop on top through which crops could be inserted so they would not blow away in the wind. As time went by, these farming tools were instead used in competitions between men who wanted to determine who had the greatest strength. They were ideally suited for this due to their weight, which was necessary to ensure that the crops would remain weighed down when used on farms. This eventually led to the development of a weight which was inspired by the girya but was a little more comfortable to handle. This is how the modern kettlebell came to be. 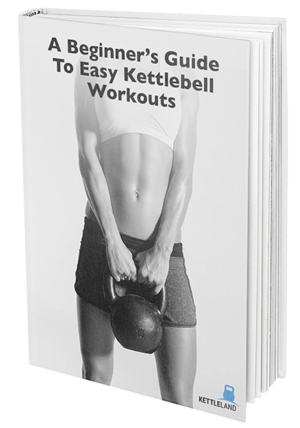 Now that we have finished the history lesson, we will be taking a look at some of the best kettlebell leg exercise routines for men and women. Leg exercise with kettlebell is easier than you may think and this first workout should prove it. You start off in a quarter squat stance and position the bell in between your legs like a center lineman in football about to snap the ball. You must extend your hips forward while remaining in this position. While you extend your hips, you must keep your back and arms straight and throughout the next step as well. You will then swing the ball up to chin level, ensuring that you maintain control of it throughout the motion and making sure that your back and arms remain straight through the whole movement. The number of reps for beginners is recommended at around 5, as this is a very intensive workout. When you gain more experience doing this workout, you can gradually begin to increase the number of reps to 7, and then to 9, culminating with around 14 reps for those who are more advanced. This is our next kettlebell workout, and it is quite simple. It is similar to a standard squat. You start it off by standing up straight, as you would with a regular squat. The main difference will be that you must hold the kettlebell against your chest with your arms positioned laterally along the sides of the weight. You will then begin your squat while ensuring that you keep your back straight and push your hips back. Try to maintain the same form as a standard squat, as if you were not holding the kettlebell. You will have to act as if the kettlebell doesn't exist if you want to ensure the best form. The kettlebell deadlift is similar to a normal deadlift, but it is instead accomplished with the kettlebell as opposed to any other type of weight. The kettlebell will have to be initially positioned on the floor, between your legs, with your hands on the grip, you must then bend down while keeping your back straight. This kettlebell workout will not involve your arms to a great extent. They are simply meant to hold onto the kettlebell as you use your legs to lift up the weight. While doing this, you must squeeze your glutes together to ensure that they also get a proper workout. The number of recommended reps for this workout ranges from 10 to 16. This workout is similar to the kettlebell goblet lunge. You will have to hold the kettlebell by the grips on the sides with both hands and keep it near your chest. You will then perform standard lateral lunges with the kettlebell in your hands, which will increase the intensity of the workout and ensure that your legs get more muscular than with regular lunges. The kettlebell is a very versatile weight, and some would call it the most versatile weight that you will come across. We hope that our list of exercises has helped you decide on an ideal workout plan for your needs. If you have any questions or remarks, go ahead and leave them down below in the comments.